Debra is a Registered Psychologist with specific training in the collaborative process. 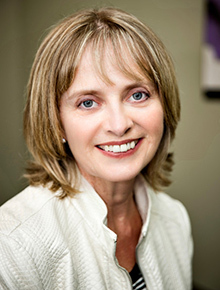 In private practice for over 17 years, Debra specializes in working with couples and families experiencing a divorce. As a Family Professional in the collaborative process, Debra works with the team in assisting couples negotiate through the separation/divorce process which may include assisting in the development of parenting plans and identifying each individual’s interests. Clients may require assistance in communicating, developing parenting plans that meet the needs of their children. The family professional is a neutral who assists the collaborative process by helping to manage emotions during meetings so that clients can focus on their common goals by being supportive; it is not a therapeutic relationship. This can allow the lawyers to be constructive and facilitate quicker resolution to agreements. The family professional can also debrief lawyers after meetings to advise them of emotional issues of which they may not be aware.